: I heard about Elvis from my mother from a gospel tape.I was14 years old.The song was "he touched me". "My Message to Elvis": damn right we did it our way! !=] i didnt meet him in real life but i met him in a dream.I got the proof on my daughters face in her veins on right cheek.The best autograph in the world,after he was gone. : He started music and there was nothing he couldnt sang.And he took rythm and blues and soul and gospel and turned it in rock n roll.but now he singing to a new crowd,and we ALL know where that is,in heaven. : Yes i have been to graceland and yes i would.I told a person that i would stand at the gates but not go in,and the night we went we got there,the last tour had went in,but i was just glad to stand at the gates of Graceland. :: Dear Elvis, I listen to your music everyday,it seems to calm me down when i feel blue.When i feel like i dont have anything in this world.I turn to your music,and i relize what true angels are.Buddy this comes from the heart you was the king of rock n roll,and still is.and im thankful for that god given us a glimspe of an angel that we knew God himself sent Elvis Presley from heaven. : Im Roy Woodrow,from Alabama im a southern boy i got a wife and 5 beatuful kids that i love just as much as Elvis loved Lisa Marie.Two of my kids,one is named after Lisa Marie Presley and the other is named after Priscilla,are named after Elvis wife and daughter. : Pictures of his mom and dad and family all together. Thank you for your comments on our survey. Elvis` voice was truly gorgeous he put his heart and soul into every performance, he sang with great passion with so much depth. 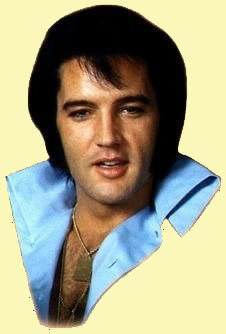 His talent is unbeatable, as a person `No one will compare!` Elvis was an amazing man who gave so much to the world. Ray Thank you for sharing your feelings & memories with us. I love to hear from his fans. I also named my eldest daughter Lisa Marie. She is now 26. Amazing isn`t it the kind of effect Elvis had and still has on his fans. Ray thank you for your suggestions too. Ray, below are the lyrics to your favorite song. Enjoy!